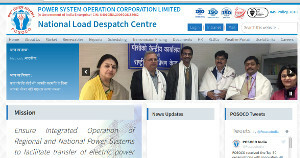 Power System Operation Corporation Ltd. (POSOCO), a Govt. of India Enterprise, under Ministry of Power, Govt. of India issued a new notification for EXECUTIVE TRAINEES in the disciplines of Electrical and Computer Science through GATE 2019 Score. Candidates can apply online through https://posoco.in/ on or before 15.10.2018. Final year students who expect their results by 14 august, 2019 are also eligible. Selection Process consists of marks of GATE 2019, Group Discussion and Personnal Interview. Selected candidates will be placed in the pay scale of Rs. 60000 – 180000 during the one yaer training period.